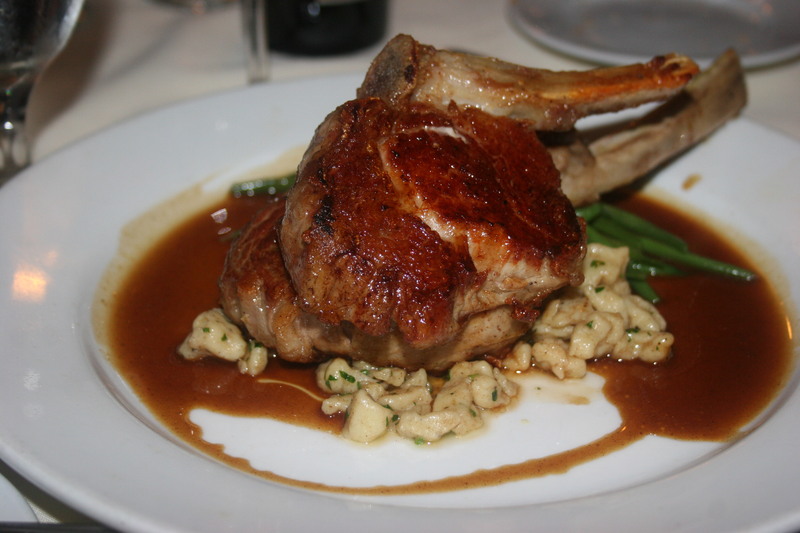 Augusto’s in Warminster is a place we have enjoyed on a few different occasions. When we had friends return to the area from for a visit from their new home in Colorado it proved to be the perfect location for us to celebrate their brief stay. 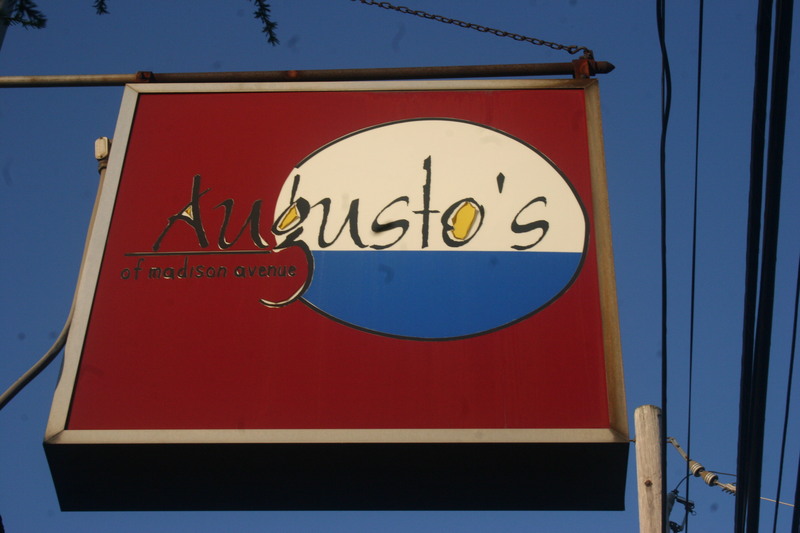 Augusto’s menu has a lot of great selections and you can always count on a few tempting specials. 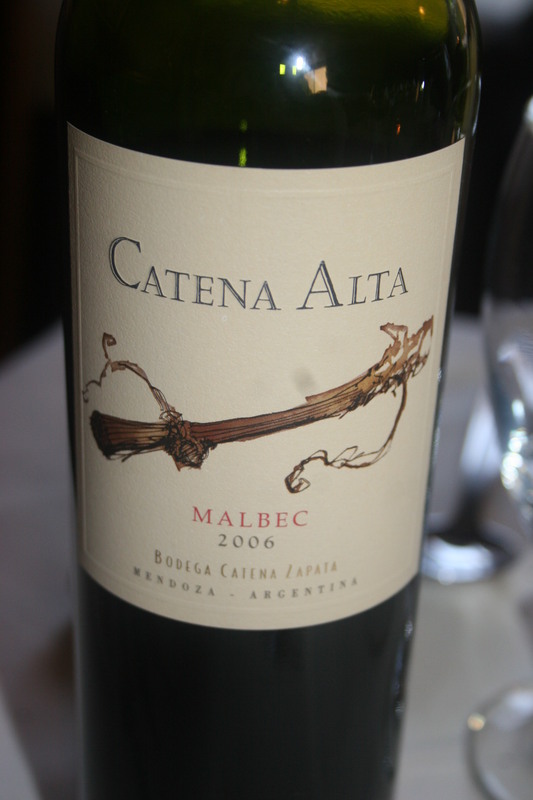 I had a nice bottle of the 2006 Catena Alta, Malbec, Mendoza, Argentina. Lots of spice and peppery notes intermingled with the dark berry flavors made this a good wine for many of the entrees available. One of those tasty entrees was the Lamb Chop. 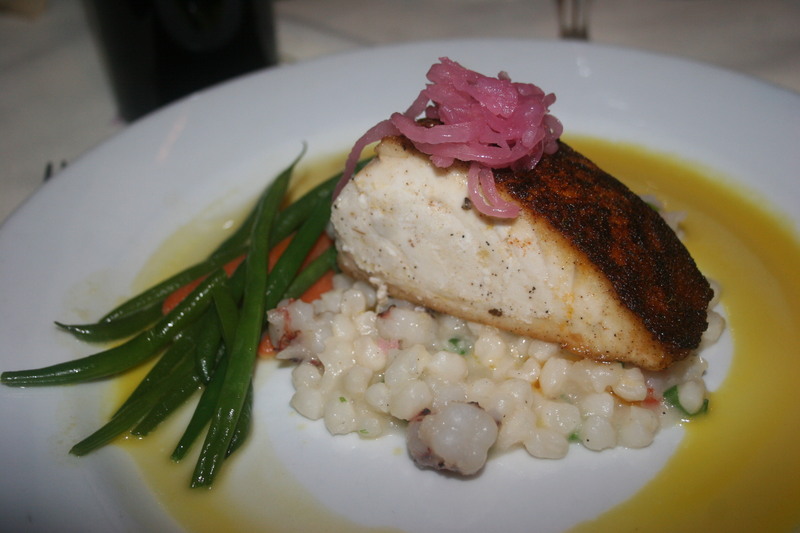 The Hawaiian Butterfish was one of the evening specials and it was cooked perfectly and served on a bed of couscous. A wonderful dish. 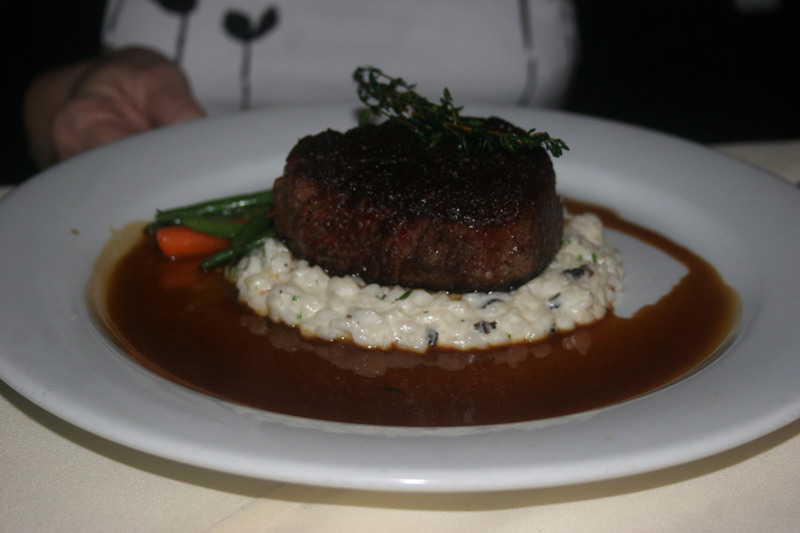 The filet was another selection that a few in our party ordered and rave reviews were heard in between bites. 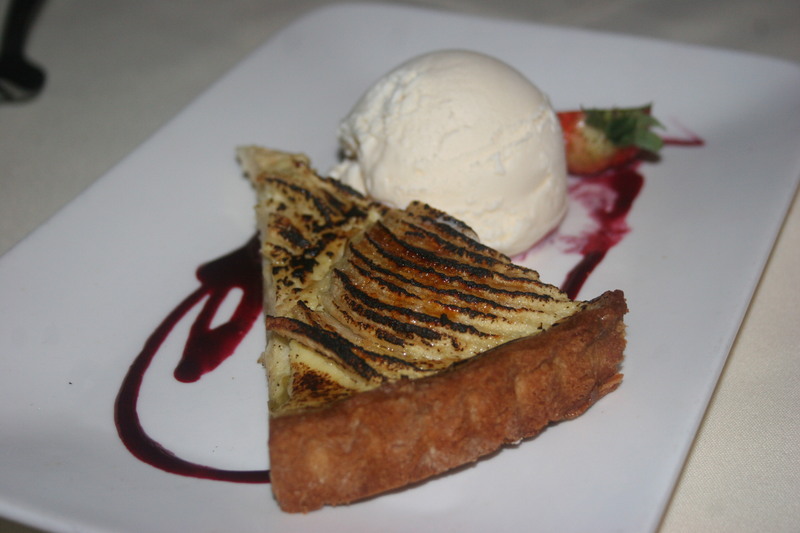 This was one of the mouth-watering desserts offered on Augusto’s menu. It’s a great BYOB if you are in this area of Philadelphia and a place you will want to return to again and again.